Brenda Hutcheson requested the Survey's assistance in preserving the historic Prairie Cemetery. Photo by Nan Snider. In February 2017, Brenda Hutcheson of Craighead County requested assistance and advice from the Arkansas Archeological Survey regarding conservation and preservation of a site recorded by Julie Morrow in 2005. The site is a well known historic, multi-ethnic burial ground called Prairie Cemetery. Many headstones are missing, but Hutcheson is compiling a list of who was buried at this location. 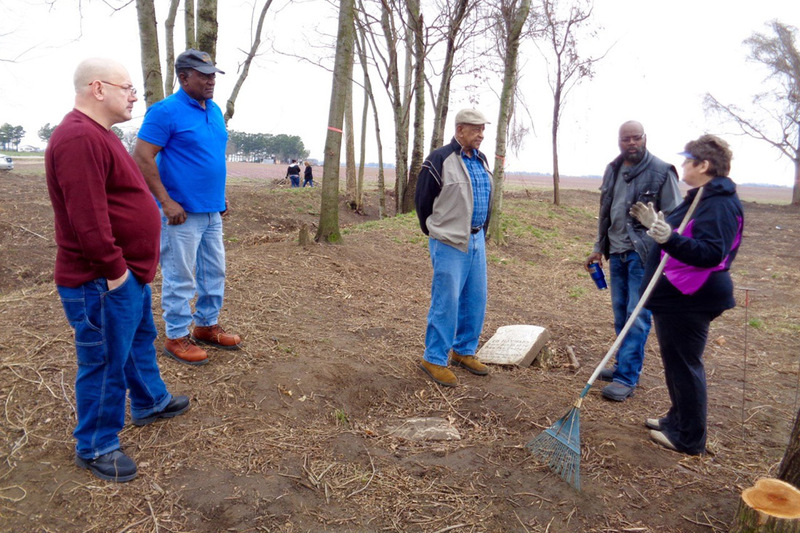 A local couple with family buried in the cemetery are planning to donate funds to complete additional investigations at the site to determine grave locations after the cemetery surface is prepared. Morrow and team plan to map the cemetery in conjunction with that study. 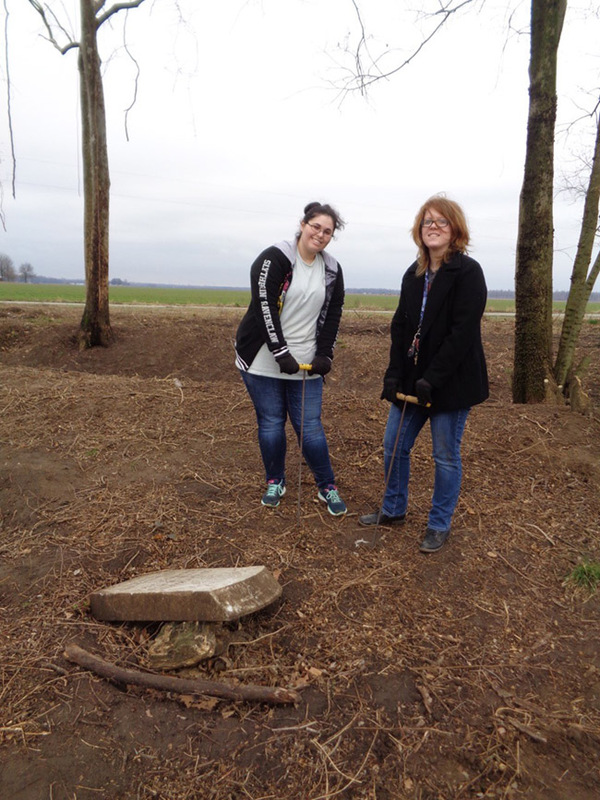 Two Arkansas State University students Sydney Russell (currently enrolled in Morrow's Archaeology course) and friend Brittany Dubose assisted Brenda Hutcheson and her cemetery clean up crew on February 18th. ASU students Sydney Russell and friend Brittany Dubose assisted the cemetery clean up crew. Photo by Nan Snider.